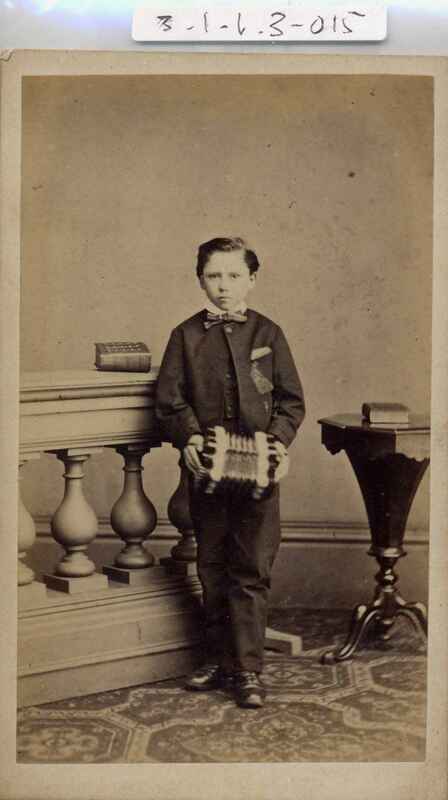 Full Description: A small carte-de-visite of a young boy, standing informally, and holding a large and fancy German Anglo concertina, with books on the nearby table and balustrade. 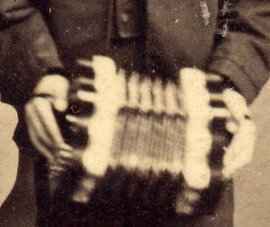 The rear is fully-embossed with fancy photographer's advert "Hugh Watson, Artist and photographer, High Street, West Bromwich. Negatives kept, copies can always be had". 63 x 105mm.